The BCE Rewards Program is designed to allow our dealers to earn points for every dollar they purchase on all printing orders. Dealers are automatically included in the program, no application, no hoops to jump through, just make your purchases and earn points. 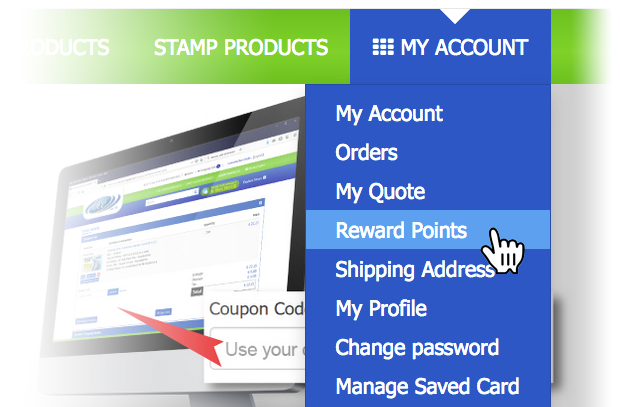 To redeem your points, you have to be logged in and then select Reward Points from the MY ACCOUNT menu. At the Reward Points screen, with the points you've earned, you can generate a coupon code and in the shopping cart, and use it on your next order type it in the discount code box. That's it! On the Reward Points screen, you can view the number of points earned, how many points you have used so far and the remaining balance. The points in remaining balance is the amount available for you to use to generate another coupon. Additional detail and instructions are on the Reward Points screen and if you need assistance, contact us via web chat or give us a call. Why should I use BCE? Our turnaround times are the best in the business. Not only do we have the latest cut-off time for you to send your file - by far - but we don't play word games. When we say 24 hrs we mean 24 hrs! Not 24 hrs in production...plus shipping...plus the day you send your file doesn't count...plus a whole bunch of other things. Postcards in two days or less, means less than 48hrs they are ready to ship. And if you happen to be in our delivery areas, we will deliver to your door that same day! We have a customer service team that surpasses any other trade only printer in the business. We will answer the phone and work with you. We understand you have your customers to answer to and we will work with you to keep them happy. Our quality is second to none and we stand behind our product. Our capabilities are far wider than just a printer. We have full finishing capabilities to give your piece that extra pop. We can foil, emboss, diecut, fold, convert, bookletize - we are basically a printer and a full-fledged bindery all in one. We can even print commercial envelopes on a very economical jet press for your next mailing. We are reliable and straight-forward. Did your customer forget to submit their art on time or went through multiple unplanned revisions? Call us! We'll do our best to help you make your due date. BCE (Business Card Express) is a locally owned, wholesale printing company that has been operating since 1986. We provide spot (thermography) and full color offset printing, as well as many finishing options, such as folding, die-cutting, converting, bookletizing, etc. As a strictly wholesale company, we are fanatical about protecting your information and your customers, and we never sell direct to end users, unlike many other printers. Each and every new dealer request is thoroughly vetted to ensure that they are indeed print resellers and not an end user looking to get wholesale pricing. If anything you are looking for is not in our extensive catalog of offerings, please do not hesitate to call or email us, as we can do much, much more than we can list on a website. We would love to help you with your next project! How does BCE partner with me? BCE tries to keep its pricing as low as possible by partnering up with our dealers. Our pricing is based on print-ready files, assuming that we are working with print resellers who have their own graphic artists they work with and would rather keep those services in-house. However, we do offer more than your average online printing company. We have a dedicated customer service department, who will communicate with you any time there's a question on your order. We do not wait for you to contact us - rather we are proactive in communicating any changes/issues with your order to ensure that you get the best product possible for your customer. If you so choose, we will check your files to make sure that they meet our minimum requirements and advise you if we find low res images, or other problems with it. By offering more service and more communication, we hope to help you keep your customers happy and coming back to you. Making you successful makes us successful. We are faster than the competition. Our 24 hour service items deliver in 18 to 24 hours and not on the third day. Our stated turnaround times are always a day or two less than the competition for the same product. THEM - 10 am order deadline Monday. Tuesday is production day. Wednesday is delivery (shipping*) day. BCE 24 HOUR SERVICE - 6 pm order deadline Monday. Product delivers (ships*) to you on Tuesday. THEM - 10 am order deadline Monday. Tuesday / Wednesday are production days. Thursday is (shipping*) delivery day. BCE 48 HOUR SERVICE - 6 pm order turn in deadline Monday. Product delivers (ships*) to you on Wednesday. *Note: For UPS shipping customers the product is packaged and ready for pick up by UPS on the shipping day and then requires time for shipping. At BCE customer service is when you want it and not when it is convenient for someone else. Call and a real live person answers the phone. We don't require "phone call appointments", "call back requests", or require that you leave a message for a return call later. What products are available from BCE? 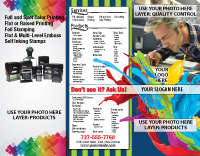 BCE offers a full line of popular full color printed products, spot color printing and rubber stamps. We are continually expanding our product line and would love to hear any suggestions and ideas that you would like to have available from us. If you don't see a specific size or product on our site don't hesitate to contact our customer service department and let us know. We have many additional products and processes that are not featured on our web site but have been produced by us over the years. Give us a try, we want to be your full service print source. Explain the difference between coated and uncoated paper stock. Paper can come in a coated finish or uncoated finish. Coated paper can come in a glossy or matte coating (BCE's house coated papers are glossy, but we do have access to matte coated papers if that's what your project requires - just give us a call!). Gloss coating has a nice, shiny finish to it. It is more resistant to the elements than uncoated paper which is why it's used more widely for brochures, books, business cards, etc., - things that will get more use and handling. The coating on this type of paper also restricts the amount of ink that is absorbed into the paper, which results in more accurate reproduction of color, and sharper, crisper images. Uncoated paper has no coating on its surface, hence it absorbs more ink. Because the ink is absorbed into the paper, this type of sheet also takes longer for the ink to dry and the fibers of the paper - which absorb the ink - make the image look less sharp. What if I don't find what I need on your website? On our website we have tried to offer a variety of products, including our most ordered products, some specialty items, and a few products that we think would make you stand out. However, there is a limitless amount of things we can produce, and we cannot possibly fit all of them - with all their variables - into the website without overloading you with information. So, the next time a customer walks into your door, holding a cool sample in their hand asking you to reproduce it, we would love to talk to you about how we can help you with it. Please call our customer service or estimating department and we'll tackle it together. When to request a quote? Order a product that is not listed on our web site. Order large quantities of an existing product. Place an order with custom specifications. An example of the above may be a custom size booklet or magazine. Or custom die cut product with foil stamping or embossing. Or maybe you want to produce a product that looks like a LP record in full color with raised "grooves" printed. BCE has a wide range of capabilities that you can take advantage of. Contact us and lets see what we can do to help you. To request a quote, click on the link labeled "Request a Quote" located on the bottom of most pages on our web site. Fill out the form with as much information as you can provide. Many times crucial information is missing and we are unable to provide a quote until we receive such information. When such a situation occurs, we will contact you as quickly as possible. Quotes are monitored throughout the day so we can respond as quickly. Provide a name that quickly identifies the product. Avoid generic titles like "Postcard for Printing". A suggestion would be to include company name and/or person name on product, such as "Congressman Jones 5x7". In the future, this could help you find a specific order or quote faster. If you want to request a quote on an existing product, select Standard Item. All products listed on the web site will appear on this menu. If you select a custom product, enter a descriptive name like "Die Cut POS display". This will make it easier to find in future reorders or updates. Quantities - You can request more than 1 quantity for a product. Sometimes you need a price for 1,000, 5,000 or 10,000 pieces. Just click on the PLUS sign for up to 3 different quantities. Additional Help - The remaining items on the form are self explanatory and have question marks indicators which list additional help information. File Upload - Sometimes it's difficult to put into words what you're looking for or you may not have the final art but you do have a sketch, mock up, or photo; anything that would help us understand what you are looking for. Use this upload tool to upload ONE file. If you need to send multiple files, please combine them into a .ZIP file and upload the zip file. Resolution: 300dpi or better for Full Color printing and 800dpi or better for Spot Color printing or rubber stamps. Color Mode: CMYK for Full Color printing and separated in spot colors for Spot Color printing. Do NOT supply files for Full Color printing using Spot Color swatches. There are known bugs in Adobe Illustrator where using spot colors with some transparency effects does not produce the desired results. Bleed: Minimum 1/8" bleed on most products where the design goes to the edge. For some products, like books, the more pages the more bleed is required to accommodate for creep. 1/4" bleed is recommended on most books. Margins: 1/8" minimum margins are required. That means any critical information (like a name, phone number, or email) should be at a minimum of 1/8" away from the trim edge of the final product. For the same reasons as with bleed, any items closer than 1/8" to the trim edge risk being cut off or giving the appearance of the product being off center. Again, this is due to manufacturing variances beyond our control. Bleed is when the printing continues past the edge where the final product will be trimmed. If your piece has a background or graphic element that's supposed to print all the way to the edge of the final product, then you need to "bleed" that background or graphic element past the edge of the final product. That will ensure that after trimming, any inconsistencies or paper movements do not affect the image going all the way to the edge of the sheet. See example below of an artwork with no bleed. 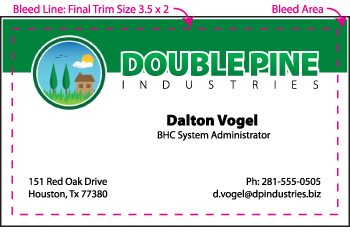 The general guideline for bleed is to extend the image to a minimum of 1/8" past the trim line. Without this bleed you risk seeing white edges on some of your product due to blade draw and other standard manufacturing variances. Why are my blues printing purple? In order to answer this question we need to first go into a little bit of detail about RGB color vs. CMYK color. The CMYK color model (process color, four color) is a subtractive color model used in color printing, and is also used to describe the printing process itself. CMYK refers to the four inks used in some color printing: cyan, magenta, yellow, and key (black). In additive color models such as RGB, white is the "additive" combination of all primary colored lights, while black is the absence of light. In the CMYK model, it is the opposite: white is the natural color of the paper or other background, while black results from a full combination of colored inks. Scanners, digital cameras and computer monitors use red, green and blue (RGB) light to display color. Commercial printing presses print with cyan, magenta, yellow and black (CMYK) ink, called process printing, instead of RGB light, and therefore produce a different range of color. The CMYK color gamut is smaller than the RGB one. Certain RGB colors that you can see on your monitor or camera (in particular, bright vibrant colors) simply cannot be replicated with standard CMYK inks. These unachievable RGB colors are said to be "out of the CMYK color gamut." That's why it is recommended that, if you are creating a piece for print, you work in CMYK mode. That brings us to the problem of Blue vs. Purple. A color value of C=100 M=100 Y=0 K=0 shows up as a nice deep blue on screen. But when you print those values using 4-color printing, it will print purple. Remember when we said above that ALL computer monitors use RGB to display color? That is why you see blue on screen even though you are working in a CMYK color space. But when you print, those values are destined to give you purple. The best rule of thumb to use in order to avoid this discrepancy is to keep the value of the magenta 30% less than that of cyan. So if C=100 then M=70, and if C=90 then M=63. Keep in mind when you get to lighter colors (when your cyan value drops below 50%), then that difference between the two should be greater. Adding yellow to your values also shifts the color more towards blue than purple, but keep in mind that yellow also makes the blue duller. So how do you get a nice dark blue without breaking the 30% rule? You can achieve a darker blue by adding black to your color mix. Easy enough to make these color changes to your Illustrator file, but how about a Photoshop image? A little more involved but not much. Under your Window menu in Photoshop click Info to bring up the Info palette. The Selective Color window will show up. Under the Colors dropdown menu select Blues and make sure at the bottom of the window Relative is selected. This ensures that any changes you make using the sliders will only affect the blue colors in the image. Now using the sliders manipulate the Cyan (increase) and Magenta (decrease) until you get the desired values. At any point in time while the Selective Color window is up, simply move your mouse over a blue area. The Info palette that we brought up at the beginning will show you where the CMYK values were before the adjustment (before the slash) and where they would be after the adjustment (after the slash). We say "would be" because the adjustment does not really take place until after you click OK. I increased my resolution to 300dpi. Why does my product still look blurry? A lot of people (and basically the industry as a whole) refer to resolution in terms of DPI. That is slightly misleading. Resolution measure in DPI (Dots Per Inch) is that of a physical device (i.e. printer) and measuring how many dots of ink/laser it can apply to one inch of paper. In files, the resolution is technically measured in PPI (Pixels Per Inch), essentially telling us how many pixels are in one inch of digital screen. If you have a file that started off at 100DPI (or PPI), and our graphics team rejects it, it is not sufficient to simply go to the image size and manually change the resolution to 300DPI. That is in no way increasing the number of pixels available in that image. The information (pixels) available in that file has already been set when the file was created (or when the picture was taken). You are simply now using 3 times the amount of pixels to describe the same amount of information. So that one blurry pixel from before is now replaced by 3 just-as-blurry pixels, which don't make the image any clearer or of any better quality. That is why it is never a good idea to use a picture from the internet (most times 72DPI), unless the picture is big enough to where you can decrease its size enough, to increase the resolution to the desired DPI. Can I proof the file to my customer on my monitor? If you're proofing for content, Yes. If color is important to you and your customer, then No. Computer monitors use red, green and blue (RGB) light to display color. Commercial printing presses print with cyan, magenta, yellow and black (CMYK) ink, called process printing, instead of RGB light, and therefore produce a different range of color. The CMYK color gamut is smaller than the RGB one. Certain RGB colors that you can see on your monitor (in particular, bright vibrant colors) simply cannot be replicated with standard CMYK inks. These unachievable RGB colors are said to be "out of the CMYK color gamut." Also, there are a myriad of ways to calibrate one's monitor. Depending on your calibration that file will look completely different on your monitor vs. someone else's. But neither monitor should be used for proofing a file for printing, unless you're simply proofing the content/spelling. That is why it is not recommended to proof a print job on a computer monitor or laptop screen. Do you have templates available for me to download? In each Product Information page, next to the Description tab on the left, there is a Templates tab. If you click on that tab you will see all the templates available for download for that product. On each product you will find an AI and a PDF file for each size available in that product. For the products where the same file cannot be used for both the front and the back (i.e. Brochures are different on the front and back because of panel sizes), you will find a separate file for the front and yet another file for the back. We strongly encourage you to download these templates before you start your design, so that you can avoid any delays to your order. Or at the very least, make sure your file fits the template before you upload your art. Can I send you a MS Word document? Unfortunately, the answer is no. MS Office is not a suite that was created with graphics and printers in mind. They're meant for document and information sharing and presenting and not for printing. Because of that intent, they simply do not advise you of any issues when opening the document. For example, if you set up your type in a Word document using a certain font, and that's a font that it doesn't find on our computers, it will silently replace it with a font that it finds without alerting us to it. So it would look entirely different from what you see. Other programs that are used in offices, but are not advised for graphic artists to create pieces meant for printing, are MS Publisher, Excel, or Powerpoint. We recommend using the Adobe Creative Suite, which provides you all the tools necessary to create files for printing. How do I check my backup/orientation? When you're holding a postcard or brochure in your hand, flip it over along the vertical axis, i.e. how you would turn the pages of a book. The top and the bottom of the piece never change position. That is how your files should be submitted. That could get especially confusing on brochures or foldover cards. Never imagine the card flipping upside down (top-to-bottom) in order to view the back. Always flip it horizontally. If you're looking at the front and the back of your piece on the screen side by side, then think of the top of the screen as your static point of reference. Whatever is along the top of the front will back up to whatever is along the top of the back. To cover an even more confusing scenario, say your customer sent you a vertical postcard, but he sent the art horizontally. Now most beginners, will think that if the top of the front of the postcard is on the left, then the top of the back of the postcard should be on the left as well. But remember what we said above about the top of your screen? How many programs do you support? 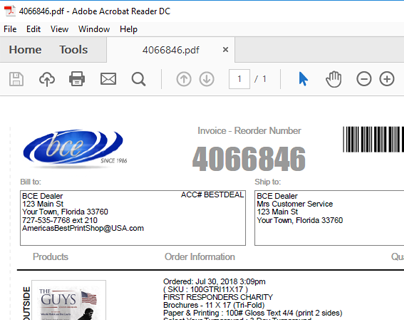 BCE does not support any particular software but we do accept PDF, the preferred file format for various reasons. We also support EPS, PSD, TIF and JPG files. Since most commonly used software support the export of files as PDF, we recommend this be used in conjunction with PDF setting Press Quality for full color printing and High Quality for spot color printing. 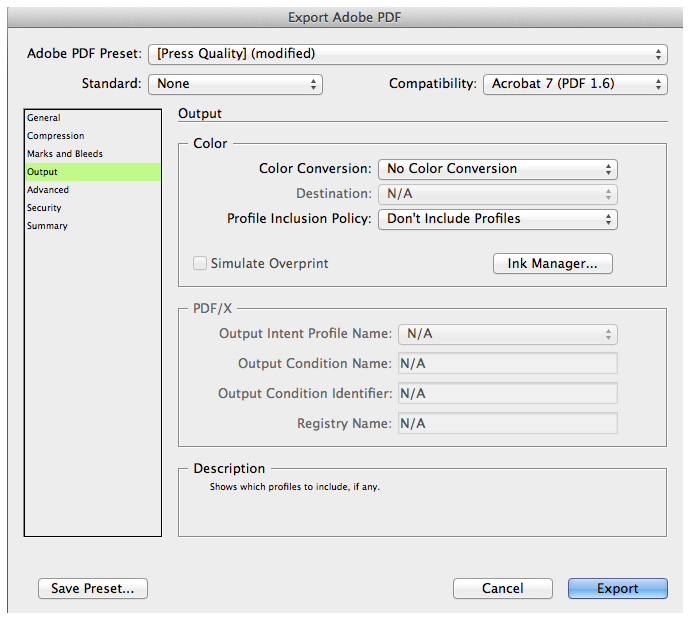 Both are nearly identical but the High Quality PDF setting supports spot colors. BCE uses the latest Adobe Creative Suites Cloud version in case last minute changes are needed. Where can I find templates for die cut products? On each Product Information page, under the product photos, next to the Description tab on the left, there is a Templates tab. 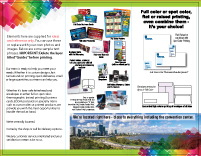 If you click on that tab you will see all the templates available for download for products such as Full Color Products -> Business Cards -> Die Cut/Shaped Cards and Full Color Products -> Table Tents. On each product page you will find an AI and a PDF file for each size available in that product. For the products where the same file cannot be used for both the front and the back (i.e. Brochures are different on the front and back because of panel sizes), you will find a separate file for the front and yet another file for the back. Will you match what I printed on my inkjet/laser printer or a previously printed sample? We print all of our products using offset printing technology. Because of the variances in technology and capabilities between an offset press and a home or office laser or inkjet printer, what you print on your printer will likely vary from what we will get on our press. Because of these differences and the different printing standards as well, we cannot guarantee an exact match to a product printed by another printer. We will try our best to maintain color consistency run after run and day after day. However, because of gang run printing (see FAQ for explanation on gang run printing), we cannot guarantee an exact match. Here at BCE, the way we can provide you with the lowest price possible, and quick turnaround, is by printing multiple products on one large sheet. These products are 'ganged' based on paper, quantity, coating selections and a few other variables. That is what allows us to keep our costs - and as a result your price - low. Because we cannot always control these variables (the amount of orders or quantities or coating selections) that come into our shop, we have to print to a printing industry standard using standard ink densities striving to achieve a pleasing color. What that means is that your postcard may print right below or next to a solid black postcard today, and below or next to a white postcard 6 months from now. The amount of ink required by the products around your postcard will affect the color on your postcard. Hence, you might see a slight difference in the color of your two postcard orders printed 6 months apart, even though the art is exactly the same. Achieving exactly the same color year after year on a particular product would require that product to print by itself on a whole sheet in order to allow us to control the color without affecting any other products, which would drive the cost up immensely. What color mode do you support? We print in CMYK (cyan, magenta, yellow, and black). All files should be supplied in CMYK for best color reproduction. If you supply an RGB file, we will convert it to CMYK and proceed. However, the CMYK color gamut is much narrower than the RGB color gamut. So a lot of colors will not be reproduced well, or to your expectations. If all you have is an RGB image, for best results convert it to CMYK on your end - that way you can be aware of any color shifts and make adjustments accordingly. What is the resolution you require? 300 dpi (dots per inch) is the optimal resolution for CMYK printing. That will ensure your images are crisp and clear. For spot color, we recommend 800 or better. We will print lower resolutions as well, but be advised, the content of your file will look low quality and pixellated. Ideally you should use the same profile as we do - FujiFilm-GRACoL2006_Coated and we can supply it to you upon request. If you're very knowledgeable in dealing with profiles, this will work for you. If you are not familiar or comfortable with profiles, then the next best thing may be to send your file without a profile. This will make your file dependent on the CMYK values in your file and will print according to the CMYK values in your file. This is the preferred method for many people. Color profiles can be confusing and they need to be copied into a few different locations for your programs to correctly use them. What are recommended Rich Black values? Rich Black prints a richer black than regular 100% black only only. There is no standard Rich Black definition in the printing industry and each printer may have a slight difference in CMYK values. We have found that 60% cyan, 50% magenta, 40% yellow and 100% black produces a very rich black. How does spot color printing differ from full color printing? Full Color (or CMYK) printing is a subtractive color model. By combining different dot patterns and percentages of the 4 basic colors (cyan, magenta, yellow, and key or black) you can create a wide range of colors on a printed sheet much like a photograph. Spot Color printing is done by pre-mixing basic inks to attain a certain color before putting that ink in the press. Think of it like paint. When you paint your living room, you don't add a coat of cyan, then a light coat of magenta, a little yellow, and finally some black in order to get a blue wall. You simply purchase blue paint that has been premixed from a white base and some color additives. Spot color printing works much in the same way. Because of its very nature, spot color printing is much more reliable for color reproduction - there is only one variable to control instead of 4 (C, M, Y, and K). Just like in the living room example, you can still apply a lot of paint to one section of the wall and very little paint to another section and they will look slightly different. But it's much easier to maintain consistency from job to job as long as you apply the same amount of ink to the paper or paint to the wall. That is why spot color is commonly used for stationery for companies that have corporate identity branding and need exact match on all of their products. Will I always get the exact amount that I ordered? Most times, we will ship your order with a few overs, free of charge. However, a plus or minus 10% of the quantity is a printing industry standard. If you are ordering for a mailing, please always order the next quantity up from what will satisfy your mail list, otherwise you may risk being short on your mailout. We will not reprint orders for shortages within that tolerance. What browsers and devices do you support? The new BCE website is mobile friendly and is supported on both iOS and Android. The supported browsers by device are listed below, in order of performance from best to worst. What is your cut-off time for placing an order? BCE offers the simplest and latest cut-off time in the business! If you place your order before 6PM your order goes into production that night. An order with a 24-hour turnaround time, would be ready to ship or go on route the very next day. So that is LESS than 24 hours! And even better, on Fridays, the order cut-off time is extended to Sunday, 2PM. So you can place an order on Sunday at noon, and it would count the same as if you had placed it on Friday with other wholesale printers. How does your 1-Hour Online Proof work? 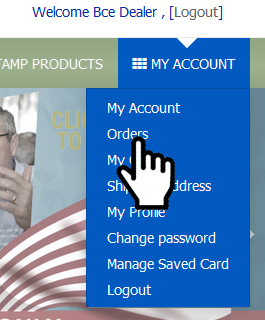 When placing an order you have the option of selecting an 1-Hour Online Proof. If you select this option, once your order is placed, within an hour you will receive an email with a link to your online proof. What you will see once you click that link, is your file after it has gone through our preflight system - so this is exactly how your file will print! You will see an overlay of the product template, showing you where it will cut, the bleed area, and the minimum margin area. Check this proof carefully! If you see ANY problems with, then DO NOT approve your proof. Once your proof is approved, it will go back into our automated workflow and it will be sent to press just as you saw it. How to download/print a copy of an invoice? Log into your account before proceeding. Once logged in, go to menu My Account, click on sub-menu item titled Orders. You will see a listing of your orders. Find your order, you can search by order number, invoice number or by mainline. Click on Invoice link, download zip file, decompress or open the zip file, open invoice PDF and print. How do I view my invoices on my mobile device? This FAQ assumes you have knowledge on how to download an invoice. if not, see FAQ titled "How to download a copy of an invoice". When trying to download invoices from your mobile device, you may need an app that can unzip files if you'd like to view your invoices on your device. Andriod devices typically have the ability to download and unzip a zip file. You probably will need a third party app to view the PDF on your device. Apple iOS may require a separate app to unzip zip files. Alternatively, you can save the zipped file to Google Drive (if that app is installed on your device), email it, or any number of other things depending on what you have installed on your device. If using an iOS device (Apple), please use Safari to properly download the zip file containing your invoice. This is the only app approved for this action as of 01/2018. Why does my text disappear from Special Instructions? Due to security concerns, certain characters are not allowed within text boxes. You may have come across this on other websites. Text disappearing from a text box is caused by an "illegal" character in the text. Characters such as #, ~, <>, ? , etc. are considered illegal characters. To avoid this situation, please just use letters and numbers in text fields. Periods and commas are OK to use. Because of the fast turnaround that we offer, we cannot waste time. Your order goes into production immediately when the order cutoff time is reached. Therefore, any cancellations must be requested on the same production day the order is placed BEFORE the cutoff time (a production day is from 6:01pm the previous calendar day to 6:00pm of the current day). If you place an order at 5:30pm and try to cancel it at 6:30pm - that's only an hour later - but unfortunately, it's past the cutoff time, so your order may already be in production. To cancel an order the same production day, please log into your account, go to My Account, click on the order in question, click Order History, and add a comment to the order. If you happen to place an order that for some reason is put on hold, or does not go into production and you decide to cancel, you may incur a cancellation fee. If you cancel your order within the same production day that it was placed (before the 6PM cut-off time) there is no fee. However, if you cancel the order any time after that, you will incur a charge of $5 or 3% of the total amount, whichever is greater. How do I upload my annual resale certificate for sales tax exemption? Select the My Account menu located on the green bar at the top right side of the screen. On the sub-menu that will appear, select My Account. On this page, click the link titled Tax Certificate Details. The tax certificate upload page will appear. Enter the expiration date of your certificate via the calendar pop-up tool. Select your month and year and then the day your certificate expires. I already sent in my tax certificate the old way, do I have to upload it also? Yes and we apologize for any inconvenience. Some dealers may have already sent in their current tax certificate via email, but we need those to be done via the website for proper record keeping. Each year when your tax certificate renews, login and upload your tax certificate. No need to send it via email or fax. This question has two parts to the answer depending on what stage your order is in. Either while it's at BCE or has shipped and is on its way to you. 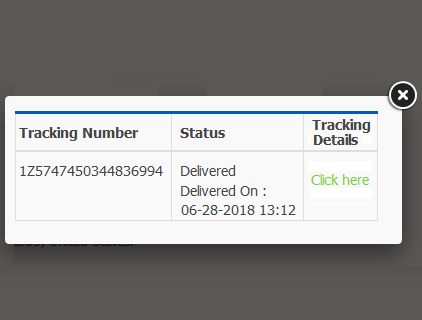 Before an order ships, you can quickly check the status of your order by going to the Orders page and view the status, it is shown in a blue box. If your order has shipped, see further below for additional instructions. 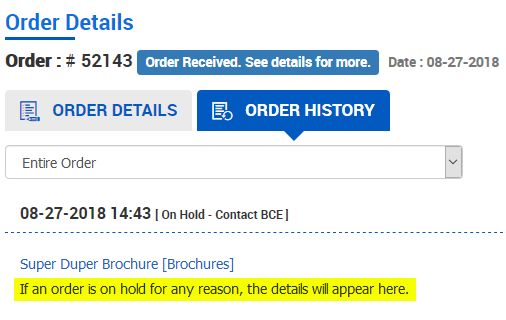 If you want to see more details, for example if your order has been placed on hold, you can click the View Details link and go into ORDER HISTORY tab to read a reason for the hold. 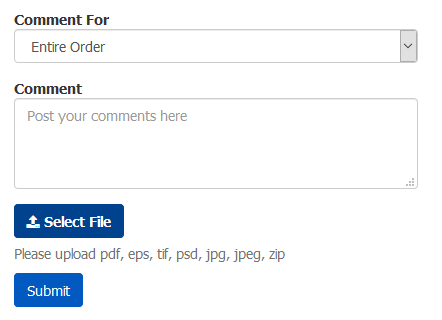 If you need to provide instructions for a placed order, or upload a new file, the Order History screen is also where this is done. If you are on a local delivery route, your order will arrive the day it shipped, barring any traffic accidents or alien abductions. If your order has been shipped via UPS, then you can track your package via our link to the UPS site. Same as above, go to the Orders page, locate your order, click on the View Details link and go into the ORDER DETAILS tab. On this screen, you will see a TRACK ORDER button. 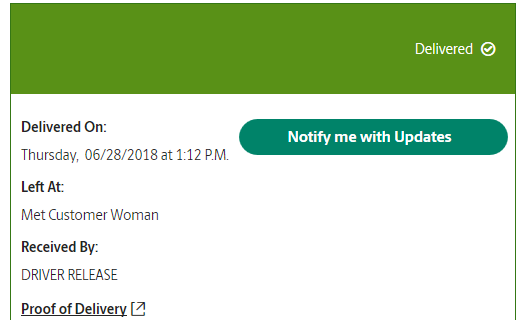 click on it to track your package. Your tracking ID is dynamically coded and will appear in a modular pop-up window. It will display the Tracking Number, the Status within UPS and a link to the UPS Tracking System - titled "Click Here". BCE is providing an editable file for a 3.5 x 8.5 postcard which can be modified within Adobe Illustrator, and you can print out at your shop or we can print it as part of our Promote Yourself program at a reduced cost. File are available by request, simply contact Customer Service for information. The marketing aid brochure is designed as a starting point to help jump start a marketing aid for your print shop and is available via the links below. The brochure list most of the BCE services we offer and there are place holders for images and photos on the outer side of the brochure. The inside of the brochure contains some basic design elements carried over from the outer side of the brochure. Everything about the brochure can be changed using Adobe Illustrator CS4 and higher in order to make the brochure your own and if needed, we can down save to older versions of Adobe Illustrator. Contact customer service and let us know what version you need. Click on this link for brief overview on how to modify the brochure. Make it your own! BCE is providing two calendar related files for use by our dealers. 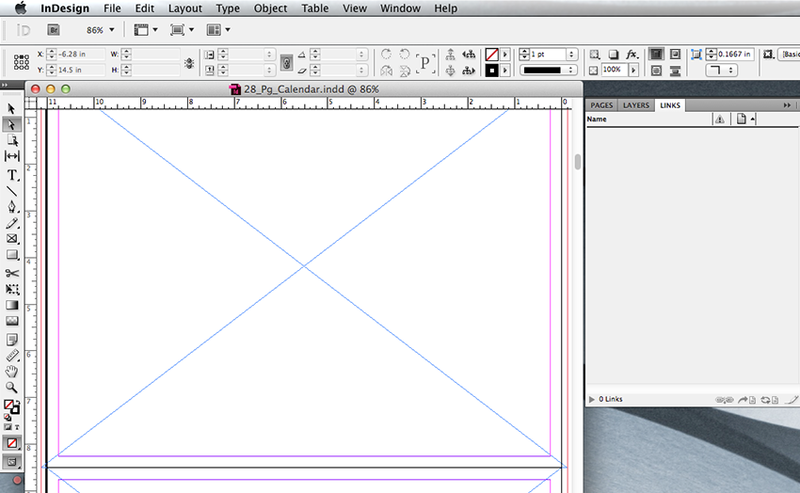 One file is a "kit" containing an InDesign template with placeholder images already placed within the document. The other file is a standard blank calendar template with no images. 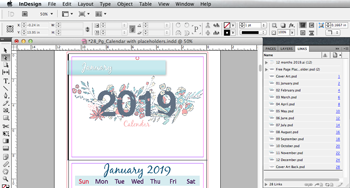 The idea for the new template with place-holder images is to allow the user to simply update the Illustrator file and replace all the Photoshop files within the images folder and once this is done, upon opening the InDesign calendar template file, just update the links and the calendar is done. 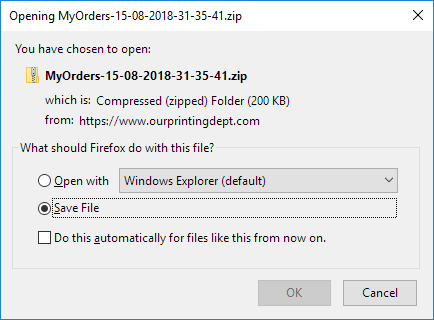 Download the zip file, decompress and save folder. In the folder will be an InDesign file with 2 folders. 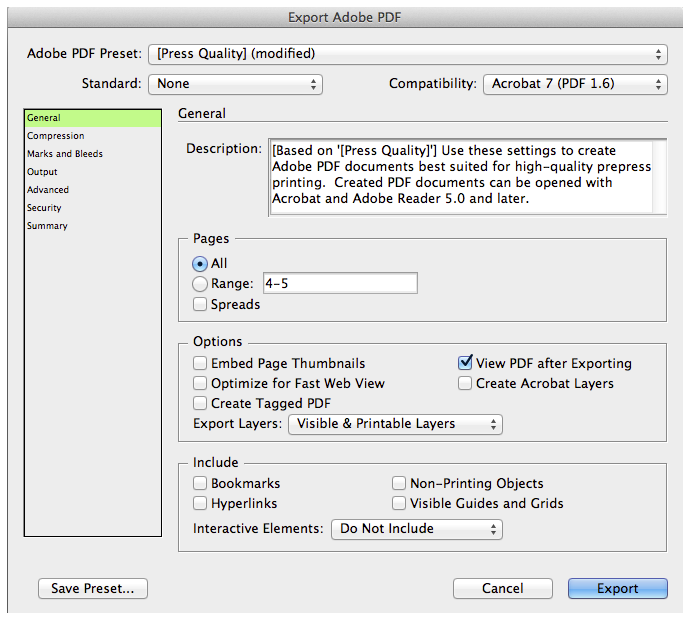 One folder is an images folder containing all images used as placeholders within the InDesign document. The other folder is the Calendar dates folder containing 3 versions / layouts for the calendar dates. 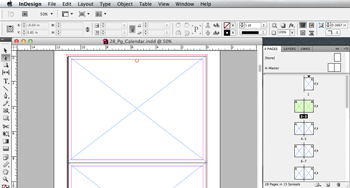 The date calendar within InDesign can be easily changed by simply copying one of the versions into the images folder. Upon opening the InDesign file, the program will ask to update links. Click OK and the new calendar dates format will appear. Each calendar dates file is fully editable in Adobe Illustrator. Each file contains all 12 months, each on a separate artboard. Each Illustrator file was created in CS5.1. We recommend do not change artboard sizes or file name. This will allow you to easily update links within InDesign. To update or change the calendar date format, either using your own design or one of the three versions provided by BCE, drag a file named "12 months 2019.ai" into the images folder. This should replace the existing file. Then open the InDesign template where you should get a Update Links dialog box. Click OK and check the results. The monthly images are 300dpi Photoshop CMYK files and can be easily edited in Adobe Photoshop. Once you save the file, you're done. Upon opening the InDesign file, InDesign will ask to Update Links, click OK and the revised images should appear within the calendar template. Each months image file is fully editable in Adobe Photoshop. Each file is 300 dpi, CMYK with a canvas size of 11.25 x 8.75 inches. Each file is an image for 1 specific month. Each Photoshop file was created in CS5.1. We recommend that you do not change canvas size or file name. This will allow you to easily update links within InDesign. 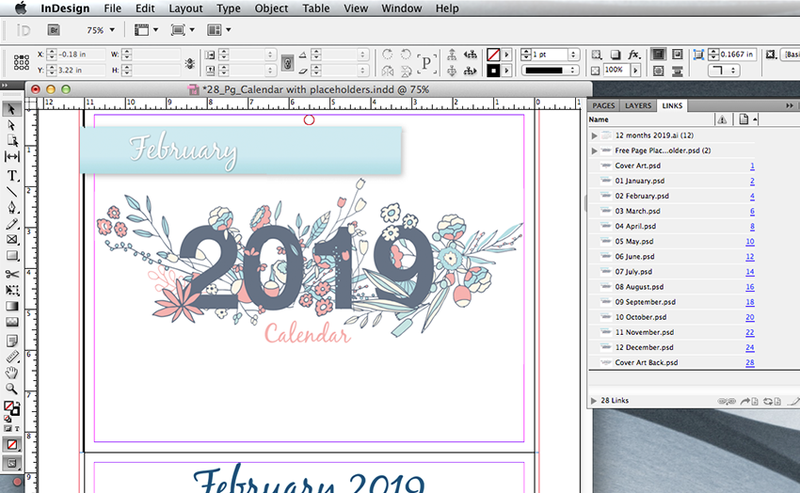 BCE is offering two InDesign calendar templates. Both calendar files are a flip-book format document with 28 pages, a cover, a back cover, two free pages (typically used as sponsor pages or about us pages) and 24 pages for the calendar dates and images. The only difference betwewen the two template files is one comes with place holder images and the other is blank. The first image is our blank template. The second image is our template with place holder images. To use the Calendar template with place holder images. The place-holder images for each month, in the template, are native Photoshop files (.psd) and they are 300dpi CMYK file measuring 11.25 x 8.75. Your files must be this size for the InDesign Update Links process to work properly. If you are planning to use the Update Links technique to create your calendar, we recommend change one file / month and open the InDesign template. Update the link and check the result. If the results look good, continue on with the remaining files. To edit the monthly images, open one of the files and work with the file as you would normally within Photoshop. You can add layers, copy and paste, run filters - you get the idea. Save each file. Do the same for the 2 files named "Free page placeholder 1.psd" and "Free page placeholder 2.psd" as well as the files for the front and back covers - file names Cover Art.psd and Cover Art Back.psd. Remember, we recommend not to change the image size, resolution, canvas size, image mode and file name. Typically these will not be an issue when editing in Photoshop. The calendar dates are contained in a single illustrator file with 12 art boards (aka pages), each artboard containing one month. The calendar art can be edited within Illustrator to make it your own or used as is. Most chances, changes made to the date files will be adding art for holidays. If you edit the Illustrator and/or Photoshop files, you can pretty much do anything except change document size, bleed settings, color modes or change the file name. If you can edit the Illustrator files while keeping these attributes unchanged, updating links in InDesign will be easy. 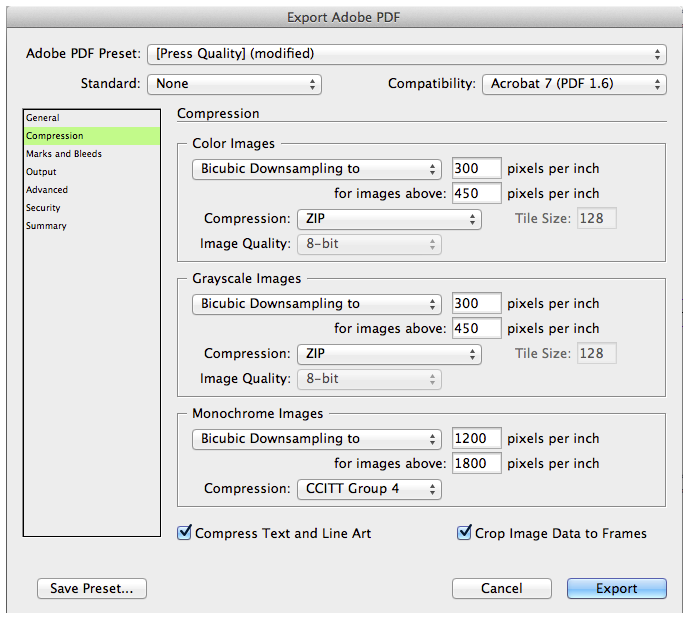 To print your file for previewing, we recommend using InDesigns Print Booklet feature located in the FILE menu. 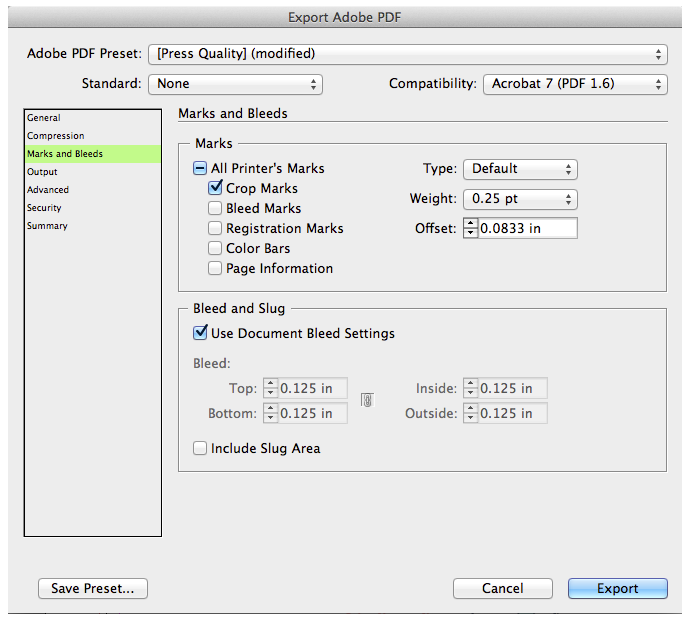 Select SPREADS so the calendar will print in a manner that allows you to fold the print outs in a flip book format. If your printer is a duplex printer, turn this feature on. This should allow you to check your calendar pretty close as it would be produced. Once you have your calendar file ready, you would create a PDF file to send to us. 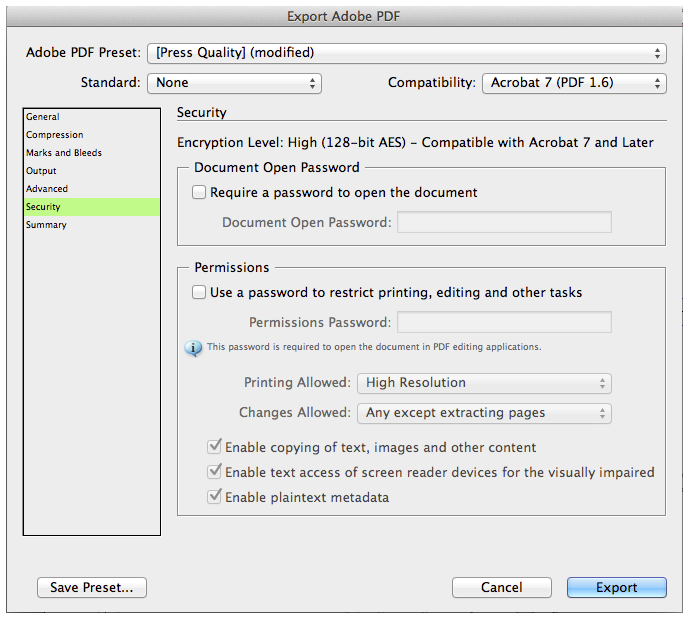 Within Adobe InDesign, do the following. The monthly image files do not have to be Photoshop files. 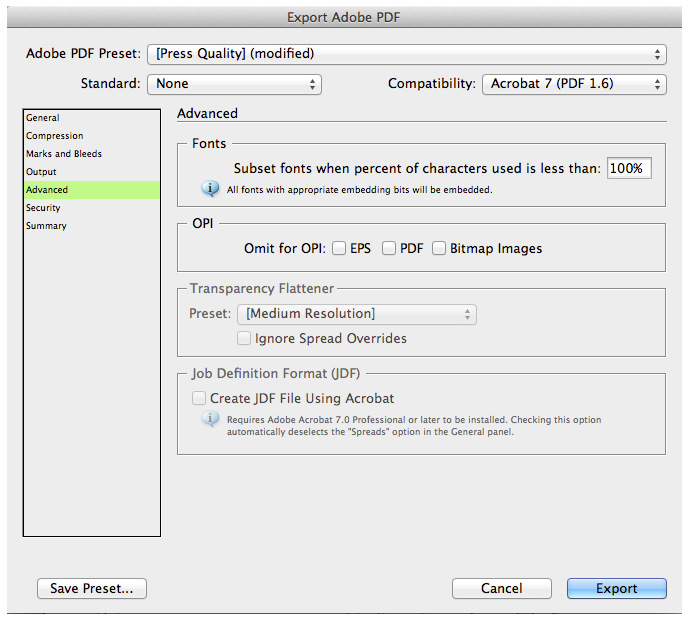 They can be other file formats but then when working with the InDesign template file, you will probably have to import them manually. They should re-position properly but that depends on settings within your copy of InDesign. The dates in the Illustrator file are set up per week within a single text box and positioned by TABS. The text boxes for each week are NOT linked to another text box. If you prefer to have the calendar date files as Photoshop files, the Illustrator file can be opened with Photoshop and save as a your preferred format. Then update links in InDesign. You may need to tweak positioning or import manually replacing each image. Monday, May 27th - Closed for Memorial Day. BCE will be on a normal schedule through Friday, May 24th. We are back to a normal schedule on Tuesday, May 28th. Thursday and Friday, July 4th and 5th - Closed for Independence Day. BCE will be on a normal schedule through Wednesday, July 3rd. We are back to a normal schedule on Monday, July 8th. Monday, September 2nd - Closed for Labor Day. BCE will be on a normal schedule through Friday, August 30th. We are back to a normal schedule on Tuesday, September 3rd.